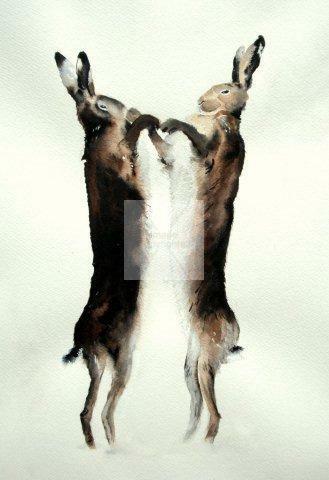 Boxing Hares has been framed in a solid light oak frame and measures approx 16 x 20". A beautiful original painting. Please contact me for further information.